Posted by Stuart Herbert on October 7th, 2010 in Desktop Wallpaper, Travel Photography. 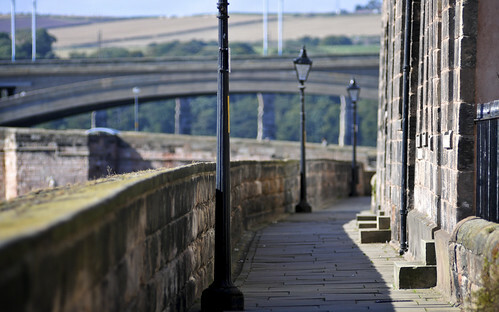 If I had to pick just one photo to try and capture the charm of Berwick-upon-Tweed, it wouldn’t be any of the photos of the bridges. It would be a shot like this, of one of the charming little lanes or walkways of this old and beautiful town. It should make a great desktop wallpaper for today too.